DD vs KKR live streaming of IPL 2018 tournament will be provided by official broadcasters – Star Sports, Hotstar, Jio, and AirTel. 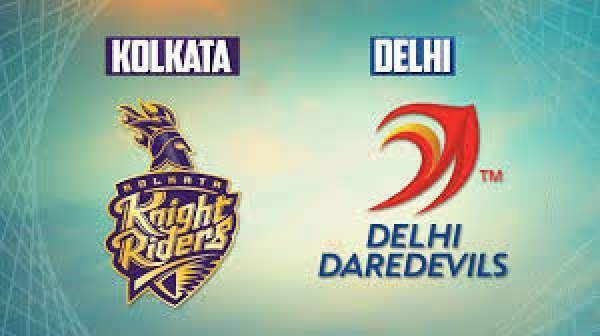 You can watch Delhi Daredevils vs Kolkata Knight Riders live cricket match today online on their web portals and tv channels. It’s the 26th of 60 games to be played. Daredevils is stuck at the last in the ipl points table 2018 with just two points as they have won only a match out of six played, before today. On the other hand, Knight Riders has collected 6 points after winning three and losing three games out of total six. Today’s match between Delhi and Kolkata will take place at Feroz Shah Kotla cricket stadium located in Delhi. It’s the home game for DD and the team will have to bear the home pressure of the crowd. It will start at 8 pm IST while the toss taking place at 7:30 pm IST. Both the sides will get 30 minutes to prepare for the battle. You can watch it on TV on channels – Star Sports 1 / HD and Star Sports Select 1 / HD in English commentary. If you want to catch the updates in Hindi, then you can switch to Star Sports 1 Hindi / HD. However, if you can’t watch it on television for any reason, then you need not to worry. It’s because Hotstar, Jio TV, and AirTel are there to help you in disguse. They have their websites and appilcations for both Android and iOS which will be streaming the match live. The two teams have met each other earlier this season and KKR thrashed DD badly at the Eden Gardens. In the entire history of Indian Premier League, both the sides have came across each other 20 times. Out of those 20 encounters, Kolkata has won 13 matches. But, recently, Daredevils has witnessed a sudden change as Gautam Gambhir has stepped down from the captaincy. Now, Shreyas Iyer has become the new skipper. We are hoping to see some change of fortunes. It may be on the cards. On the papers, both teams have a list of some of the biggest hitters of the smallest cricketing format in the world. The list includes Rishabh Pant, Andre Russell, Chris Lynn, Sunil Narine, etc. It’s promising a mouth watering battle today. The fate seems unclear for the Delhi as only five matches more are left to play in the playoffs.